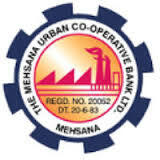 Mehsana Urban Cooperative Bank (MUC Bank), Mehsana, Gujarat invites application for the recruitment of 70 Clerical Trainee vacancies. Interested candidates can apply online on or before 10th July 2016. Interested candidates may apply online through the official website www.mucbank.com on or before last date 10th July 2016. After successful registration take a printout of online application for further use.